Open our hearts and minds up to new and better opportunities in life. There is so many available if we just allow them in. 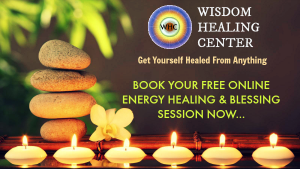 Send us mail at wisdomhealing[email protected] for any queries. We are looking forward to hear from you!